After a four-hour trip to London and only being able to catch whatever sleep I could during the uncomfortable journey down, I met with Peter Hurley and immediately felt welcome. 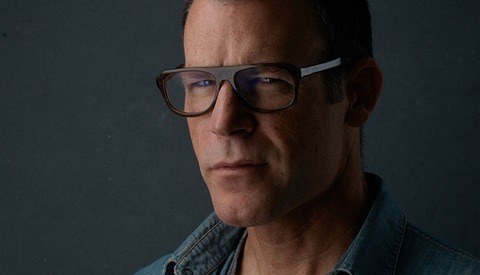 For those of you who don't know, Peter Hurley is a headshot photographer based in New York City. 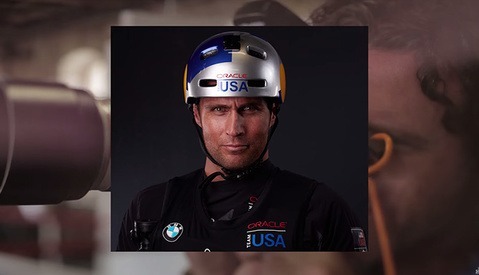 Hurley once had a career as a model and was also part of the U.S. Olympic sailing team. He is known for his clean, white background headshots and for coining the phrase "squinch," which has now become relatively mainstream thanks to news channels and shows like Orange is the New Black. To many, Peter is known as the best in the business and this may be true, but, what is Peter actually like to work with? Sit down, strap in, and buckle up. 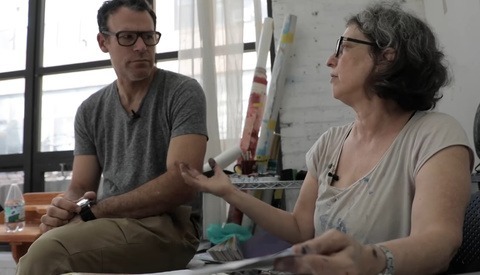 This video is a long one but for those who can find 47 minutes to spare and watch this video you'll be rewarded with a casual insight and genuine conversation into the work space of premier hand-painted Backdrop Artist Sarah Oliphant alongside world-renowned Headshot Photographer Peter Hurley. If you've ever considered shooting on a painted backdrop, you'll undoubtedly find this video an interesting watch. The inverse square law is one of the most important yet misunderstood concepts in photography. On the surface, it basically says that the intensity of a light source will decrease as you move the light away from your subject, but how does that apply to the highlights and shadows in a portrait? 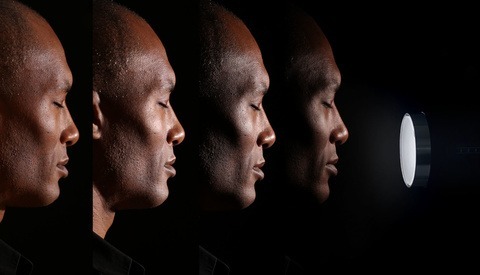 In this small excerpt from the "Illuminating the Face" tutorial, Peter Hurley breaks down both the math and the practical application of the inverse square law. Do you ever have trouble talking with your subjects during a shoot? Not sure what to say to them to get that perfect facial expression? No need to worry, Peter Hurley is here with "Hurleyisms." We're big fans of Peter Hurley here at Fstoppers. 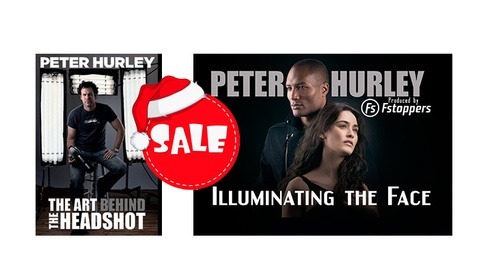 We've collaborated with him twice on Peter Hurley: The Art Behind The Headshot and Peter Hurley: Illuminating The Face. His signature headshots are well known throughout the industry. What you may not know is that Peter was a world-class sailor in his day. Recently, he returned to his roots to combine sailing and photography, and the results are awesome. Can This Body Positioning Technique Really Make You Look 10 Pounds Less in Photographs? Everyone wants to look their best when they are in front of the camera. Most people practice in front of a mirror to get their perfect "photo face" nailed down but did you know that your shoulder and arm positioning can actually make you look thin in one photo and fat in another? 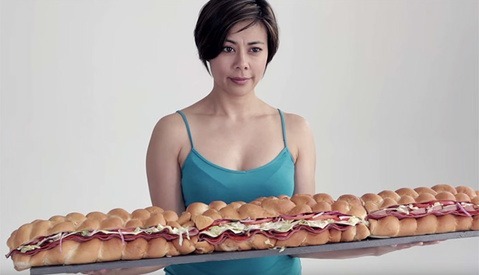 Headshot photographer Peter Hurley has released his latest photo slimming tip video and it is called "hold your sub." A few weeks ago we offered to critique a handful of headshot photographs from the Fstoppers Community. I was able to sit down with professional headshot photographer Peter Hurley for his advice on how you guys can help improve your own headshot photos. 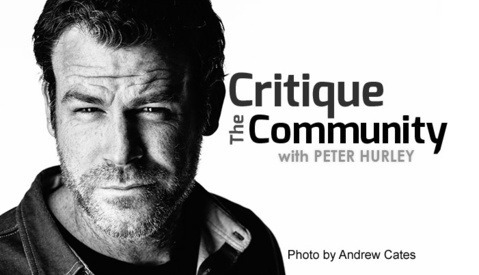 Since there were so many submissions we were only able to get to about 18 images, but don't worry because next week Lee and David will tackle many of the images that did not make this episode of Critique the Community. We love photography. We love gear. 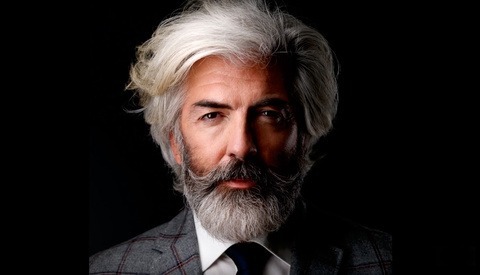 And we love this guy: New York City-based headshot photographer Peter "Shabang" Hurley. 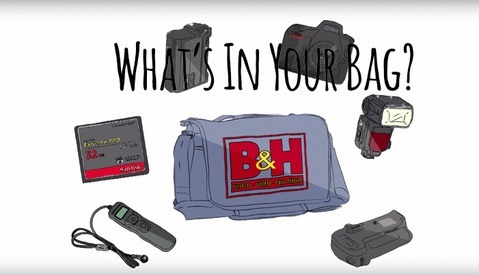 So when B&H put out this episode of, "What's in Your Bag? ", featuring Peter and his kit, of course we were going to watch and post it with all the same excitement and exuberance that Peter himself puts into everything. Watch as Peter tears through his bag to reveal his set-up while running down what gear he uses and why. 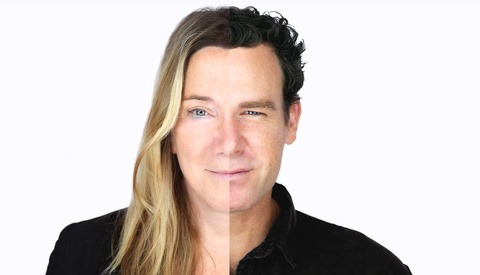 A few months ago Fstoppers teamed up with Peter Hurley to produce the 6 hour tutorial Illuminating The Face which covered all of the intricacies of lighting a person's face in a studio environment. Thanks to Profoto, today we are releasing an additional chapter for free. 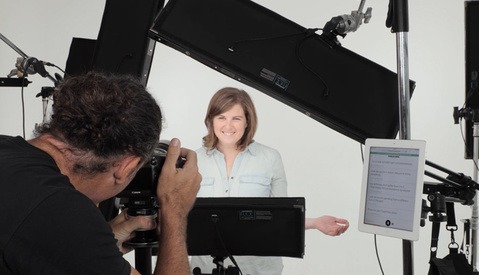 When I first met Anna Rowley while filming Peter Hurley's Illuminating the Face tutorial, it was obviously clear that she had discovered the psychological power behind Peter's headshot directing skills. That day she shared with me her belief that there might be a direct correlation between how a person reacts in front of an intimating camera and how they perform in their workplace. Everything she told me was extremely interesting, so I was pleasantly surprised when Peter texted me this TEDx talk yesterday. I'm curious to hear what you guys think.